High quality, 14K two-tone gold braided wedding band ring. Also available in 14K White Gold, 14K Yellow Gold, 18K Two-Tone Gold or any other color combination by request. 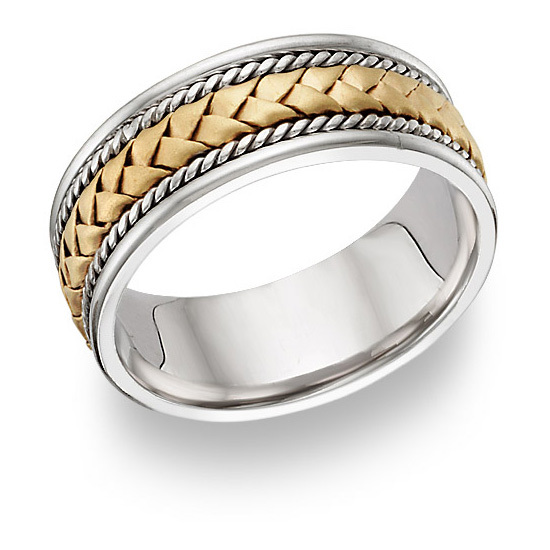 We guarantee our Braided Wedding Band Ring - 14K Two-Tone Gold to be high quality, authentic jewelry, as described above.